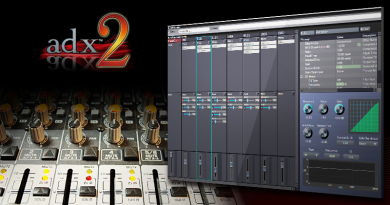 A new version of ADX2 dropped earlier this month, and with it came some handy new features. 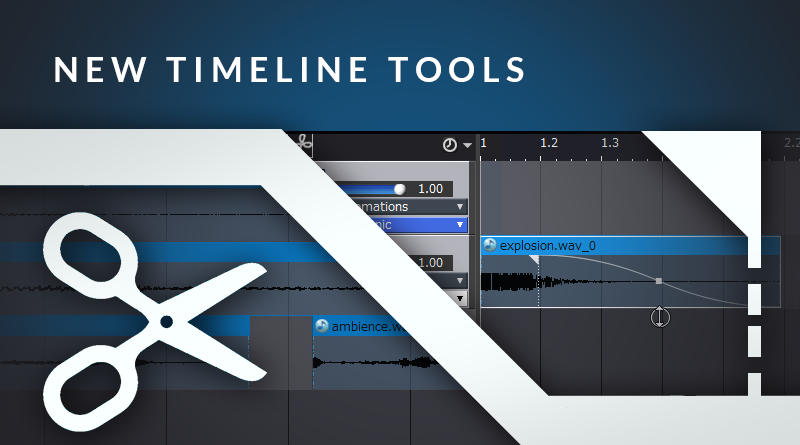 You can now non-destructively trim and fade waveforms on the timeline, allowing for much more flexibility from within the tool. 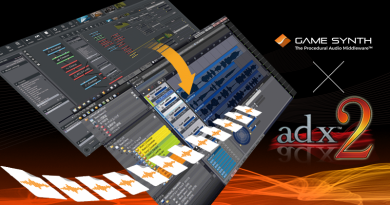 This addition means you no longer need to open up a separate editor when you want to cut out individual parts of a waveform which has several SFX rendered in, or when you need to apply fades to tidy the mix up. To switch to the new Cut tool, select it from the toolbar underneath the Timeline (or use the shortcut keys  and  to switch between the Select and Cut tools). While hovering above a waveform, the cursor will change to reflect the new mode. With this tool selected, you can now quickly cut through waveforms by left-clicking on them. Cutting can also be performed on multiple regions simultaneously by using the tool while multiple waveforms are selected. Regions which have been cut or adjusted are distinguishable by the light blue-dotted lines on their affected edge. 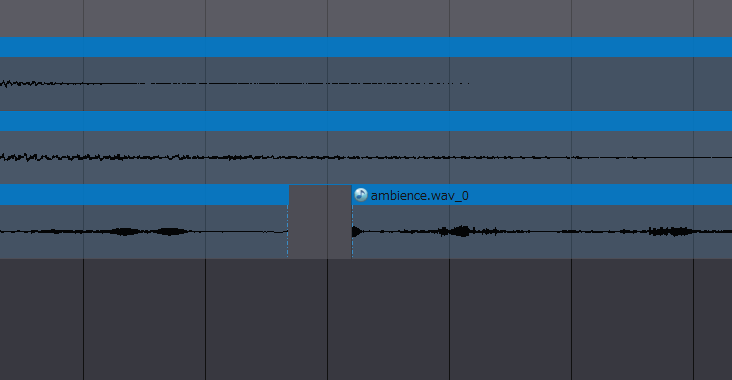 Hovering over waveforms now reveals small triangles at the corners of their respective regions. Click-dragging these triangles will create fades. After these fades have been established, their steepness can be adjusted by dragging the small square. Right-clicking this square will bring up a menu which allows you to change the curve shape. As with the cut tool, selecting multiple waveforms will allow you to apply many fades simultaneously. Fades are applied cumulatively, so if one region already has a fade, its length will be increased rather than overwritten when part of a multi-selection. Edited regions are encoded as separate waveforms. This means that multiple instances of the same waveform with slightly different trim ranges and curve settings will take up more space. 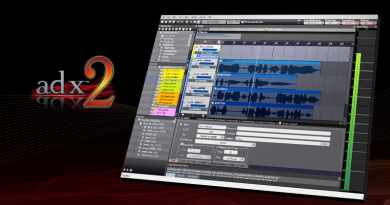 However, this means that trimming waveforms down, such as when cutting out silence, will also reduce the amount of storage space used.